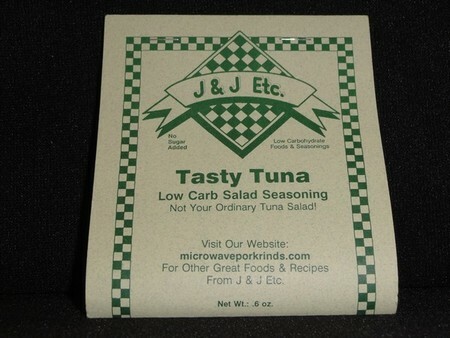 Tasty Tuna: The end all of tuna salad enhancers. Use this combination of Dill Weed, Onion, Hickory smoke and other carefully selected spices to allow you complete freedom for imagination. Use pecans, celery, or even diced red bell peppers with the tasty tuna seasoning to change the way you think about tuna salad.